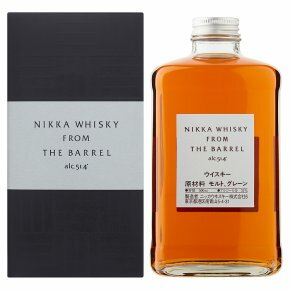 Matured malt and grain whiskies from the Miyagikyo and Yoichi distilleries are blended and re-casked. From The Barrel is bottled directly from the re-casked barrels. Bursting with character; boiled sweets, orange peel and apricot aromas with spicy oak and ripe fruit flavours. Add water to open the flavours.